Why Is Reputation Management A Science, Not Theory? Why Must Reputation Management Be Considered A Science and Not Be Based On Theory? While there may be a smidgen of theoretical perspective shared in an occasional food-for-thought context, the educational approach provided throughout this text is heavily grounded in research, application of scientific testing, and the measuring of results. Supporting research includes years of carefully studying mind-bending organic search patents filed by Google, Bing, and Yahoo, many of which are cited in the References section, along with academic papers, agency white-papers, and various industry reports on search technology and trends. Of course, reading patents and scholarly papers only exposes one to the probable methodologies search engines use to index, score, rank, and display results, so everything included in this book has been validated through relentless testing. As our fellow Scottish moral philosopher and economist suggests, a theory must withstand generations of validation and testing. Once it does, it may take the form of observational law. While this book imposes no laws or rules on people and how they conduct themselves in today’s Internet world, nor does it forecast or predict what comes on the far horizon with search engines, it does provide factual evidence of effective strategies for repairing an online reputation, with a strong consideration for the historical evolution of search engines, the current methods they use, and Internet user behavior. 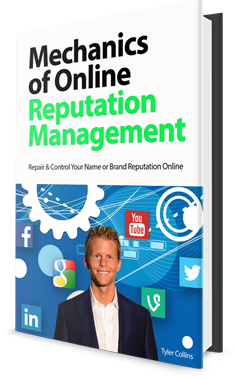 Evidence supporting the importance of a positive online reputation will be provided, along with a thorough explanation of possible strategies for successful management. Theory is worth its weight in facts. Let’s agree to focus on facts.